The true explanation behind that far-off "alien megastructure" is much different than some expected. Instead, it’s probably just a bunch of comets, if you believe researchers at Iowa State University, according to a Washington Post report. The star first caught the eye of scientists back in October, because it was blinking in a strange fashion. Instead of dimming in a regular pattern as it would if planets were passing in front of it, it was doing so irregularly. So the alien theories began to pop up, with some suggesting that perhaps it was some massive orbiting alien structure. Although most scientists were doubtful of this explanation, it certainly resulted in plenty of colorful headlines. It prompted the Search for Extraterrestrial Intelligence (SETI) institute to listen for radio signals, but they haven’t heard anything that would suggest an intelligent civilization. Early on, some had suggested it was a massive cluster of comets circling the star, and now, a study published in the Astrophysical Journal Letters by researchers at Iowa State University indicates that’s most likely what it is. While the study doesn’t say that it’s definitely not aliens, it does suggest that the comet theory is the most probable one. 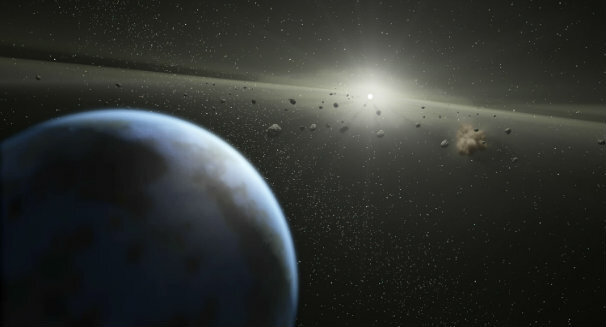 It also ruled out some other possibilities, like huge collisions of planets or asteroids. It’s not the first time scientists have seen something weird and thought aliens were a possibility. When pulsars were first discovered, scientists didn’t know what to make of them, but eventually a more natural explanation was discovered. So no aliens have been discovered yet, but scientists will surely keep looking.